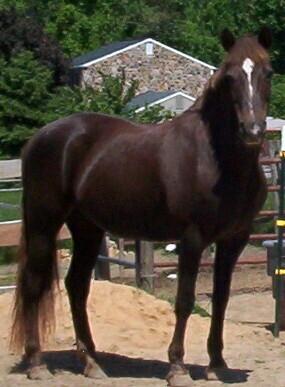 Need to re-home a lovely Morgan mare that was rescued on her way to the auction. According to the vet, she is ~ 20 yo. 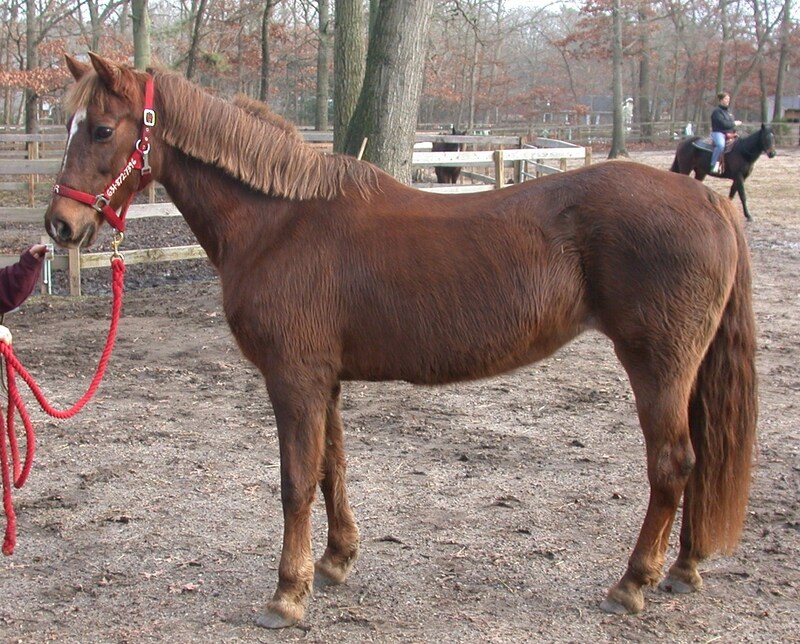 Liver chestnut, no papers, sturdily built, ~15.2hh, no major health issues. UTD on everything. She supposedly has TMJ so doesn’t eat very coarse hay, but otherwise it doesn’t affect her. I feed her Triple Crown Senior Complete feed, and let her eat however much hay she likes. Spry and sweet, she is great with kids. We have had her on trails, jumped, and assessed by trainers. Loads fine and is sound barefoot. She is a top notch mover for English Hunter and would make a wonderful kid or adult beginner show horse. She has enough traing to show successfully. She frames up, knows her stuff, and is easy to stop, turn, bend and accelerate in a snaffle. Eager worker but not spirited. No buck, bite, rear, or other issues. Right now she is gaining weight quickly and working her way back from skinny. 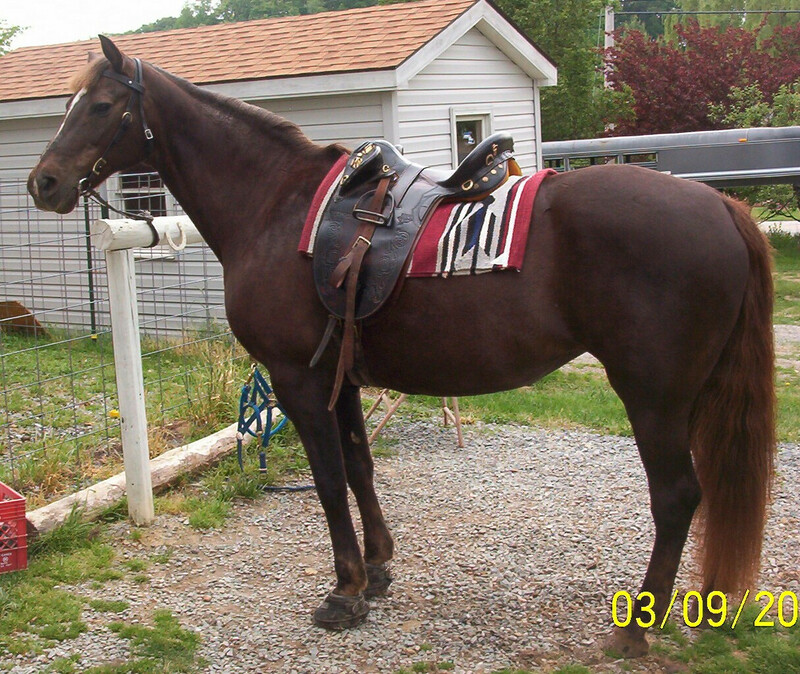 We are looking for a retired plug of a trail horse and she is just too great to waste. Beautiful thick mane and tail. Free to adopt with contract. I cannot ship, but know a shipper who has very good prices for me. We are located in Ridge, NY 11961. Please contact me for further info and more pictures.